Google had confirmed last month that two Android Wear 2.0 smartwatches are coming in 2017. Now, popular tipster Evan Blass aka evleaks has revealed some important details of the two smartwatches. According to Blass, the two smartwatches are made by LG and will be dubbed as LG Watch Sport and LG Watch Style. These watches are expected to unveiled on February 9 and will start shipping in the U.S. the day after they are announced. LG Watch Sport is tipped to sport a 1.38-inch display with a resolution of 480×480 and be 14.2mm thin. It will feature IP68 certification, 768MB, 4GB of storage, a 430mAh battery, Wi-Fi, 3G and LTE and Bluetooth. 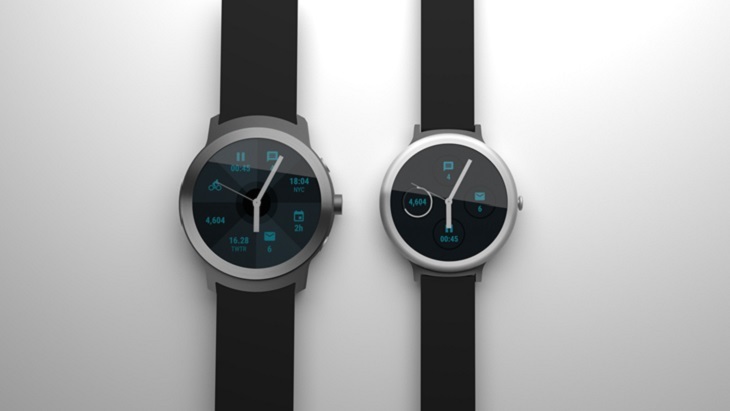 The watch will also come equipped with GPS, NFC, a heart-rate monitor and Android Pay. It will be available in titanium and dark blue variants. The LG Watch Style will reportedly have a 1.2-inch display at a resolution of 360×360 and it will be 10.8mm thin. Other features include 512MB RAM, 4GB of storage space, 240mAh battery, IP67 water and dust resistance and Wi-Fi and Bluetooth. It will be available in titanium, silver, and rose gold variants. The LG Watch Style is also said to come with swappable bands support. Both the watches will run Android Wear 2.0 and also come equipped with Google Assistant to some extent. Blass also adds that these watches will have a “digital crown”.